For recreational sports locations, Optivision LED generation 2 can be connected to PerfectPlay. 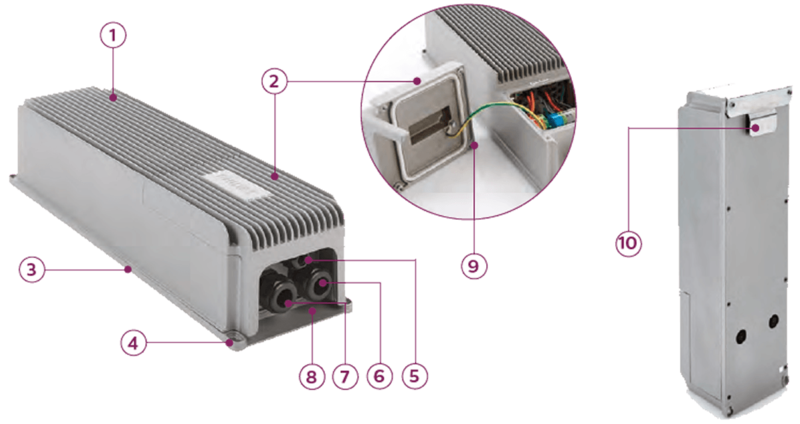 This is an easy to use, dedicated system for remote management of both indoor and outdoor recreational sports facility lighting. 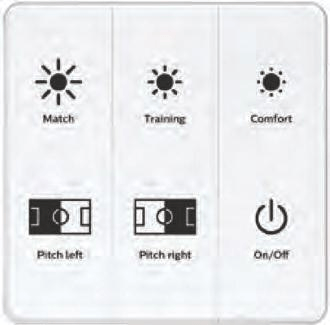 This is the simplest option and consists of a panel of six buttons in the clubhouse or control room, which offer different levels of field illumination depending on the type of sport being played. The buttons turn lights on or off or dim them according to pre-programmed light settings. 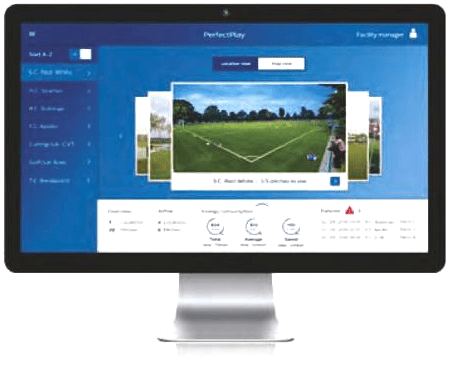 this is designed for sport facilities with multiple fields, and allows the lighting to be controlled remotely via a large format tablet that can be either wall mounted or used on the go. Even fields with conventional lighting can be controlled . Like the PerfectPlay Panel, it offers pre-programmed lighting levels and scenarios. 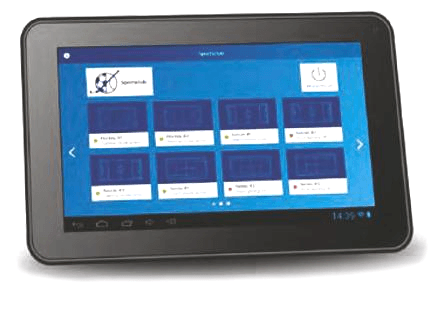 this is a web interface designed to manage multiple sites and sports centres remotely. The dashboard displays information such as which fields are occupied and when the last training ends. it also monitors the performance of the lighting system, looking at energy consumption, system failures, abnormal operating conditions, and switch off moments. Tailor made reports can be created to help manage budgets and operational efficiency. 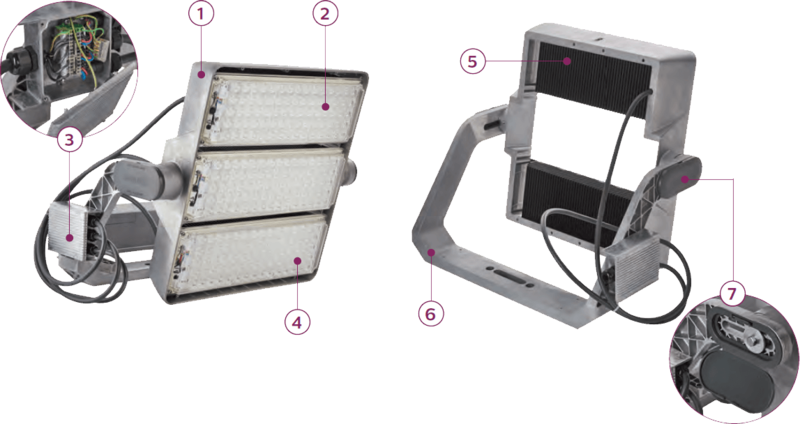 If your interested in learning more how Opti-Vision LED sport lighting could help your business, please fill in our contact form with your contact details and our sales team will contact you shortly to discuss your requirements.